Much like the classic blue jeans, the white shirt is a staple in every one's wardrobe. It is unpretentious, not ostentatious, and, most importantly, it is a versatile piece of clothing that, with the right styling, can be worn to formal events, business meetings and casual affairs. But a white shirt is not a blouse. 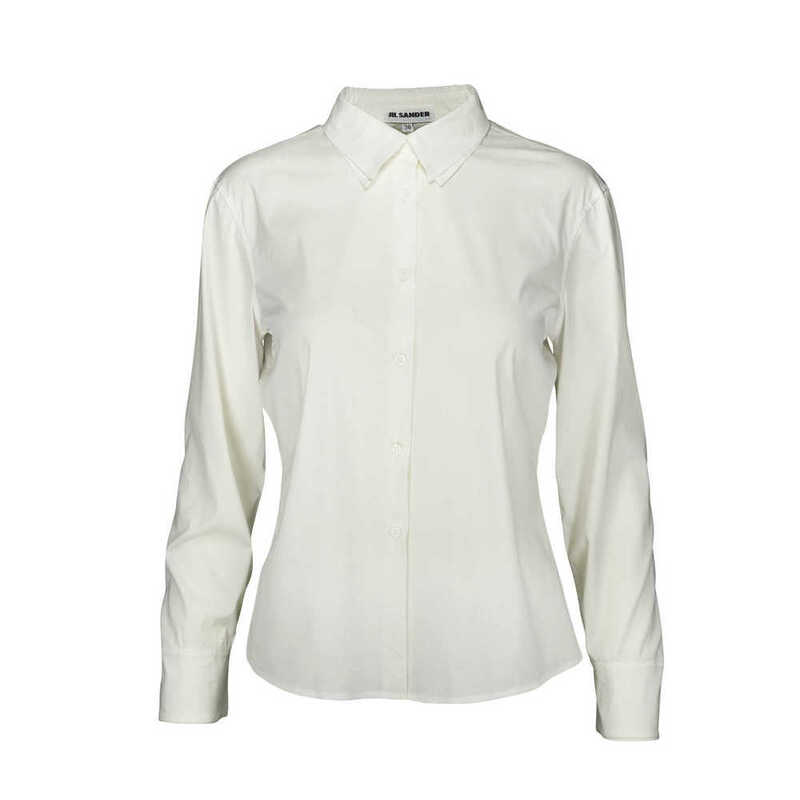 Originally a menswear item, the white shirt has evolved to be one that is favoured by women of great style. One of my favourite white shirt looks has got to be that of Carolina Herrera's. So chic is the look that the White Shirt + Ballgown skirt combination has become somewhat synonymous to her look. But finding the right white shirt may not be that simple. Depending on the look you're trying to achieve, each white shirt needs to be different. Therefore, it has to "feel right" and "look right" on you. But, while get right white shirt depends totally on you, I would say that, on a woman, the white shirt looks better when it’s a little relaxed with a slight boyish-vibe. Cotton fabrics are the obvious choice, but you see, not all cotton fabrics are created equal. For oxford shirts, I'd prefer choosing cotton with higher thread count and one that has a basketweave construction so as to have a bit more structure. For a more lightweight option, go for one made from poplin-woven material. 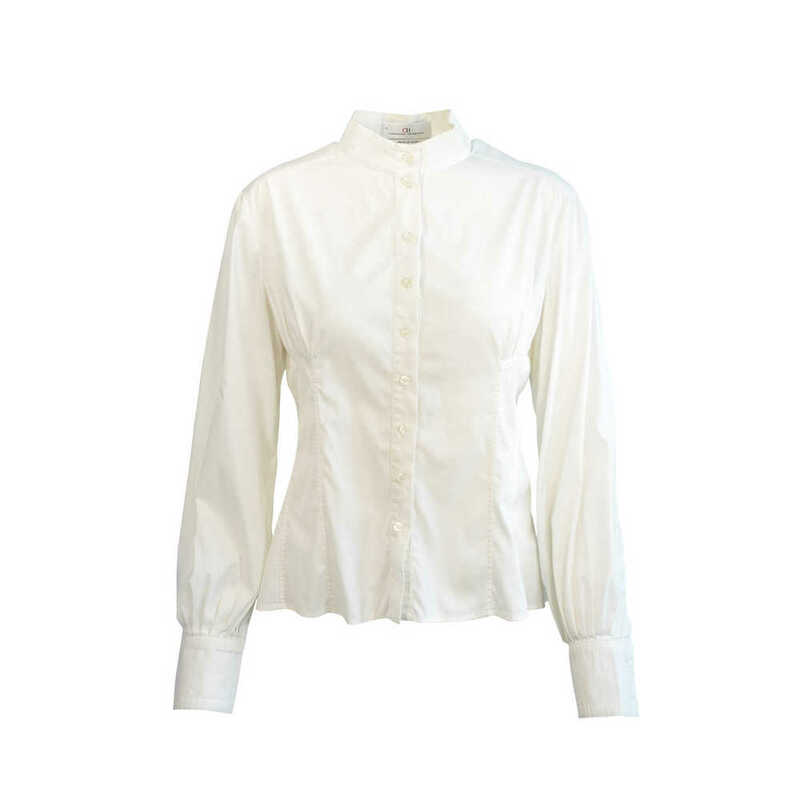 Otherwise, go for silk shirts, Because it's soft to touch and super lightweight, the shirt is prone to wrinkling. However, such shirting option is best paired with A-line skirt (if you're wearing it to work), or wide-legged pants (Hello, casual Friday!). If you're not a fan of the full tuck, which may be too formal (or, perhaps, a little too "school uniform" for many), how about going for the front-tuck look instead? The vibe is more relaxed and is the perfect option for defining your waist without making it the focal point. Alternatively, go for that off-duty, "undone" look by doing a half-tuck look. This creates a chic dishevelled look which is popular amongst the style set and fashion editors. The problem lies in keeping the white shirt, well, white. Pristine and crisp, if you must. Silk shirts should always be sent from dry-cleaning but for other machine-washable fabrics, here's a big tip: always hand wash your white shirt with a dash of starch. This will give it that extra crisp feel and finish.